EU-OSHA recently launched a visualisation tool designed to allow easy and quick access to the results of its three-year project “Safer and healthier work at any age”. 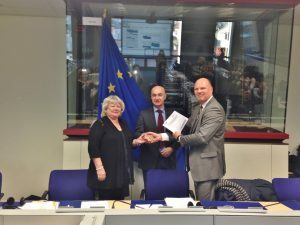 The European Commission concluded a delegation agreement with the European Agency for Safety and Health at Work (EU-OSHA) to carry out a pilot project entitled ‘Safer and healthier work at any age — occupational safety and health (OSH) in the context of an ageing workforce’. 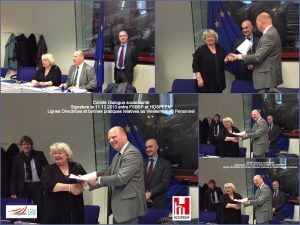 This was based on a decision and request of the European Parliament, whose objective was to further investigate possible ways of improving the safety and health of older people at work, as the ageing of the workforce will have a serious financial impact on workers, employers and taxpayers. Thus, the project aimed to assess the prerequisites for OSH strategies and systems to take account of an ageing workforce and improve risk prevention and health protection for all throughout working life. The key results of the project are presented, including data on demographics, employment, working conditions, and health, as well as examples of OSH policies across Europe addressing the challenges of an ageing workforce. This data visualisation tool presents the key findings of the project and allows users to explore the data in an interactive way by comparing countries and searching for policies, strategies and programmes, among other possibilities. The issue of the ageing workforce is represented using the ‘Age pyramid’, that is, an interactive graph showing historical data and the projections for the EU, provided by Eurostat. Next to this, some important figures show that this issue is closely related to OSH and working conditions. 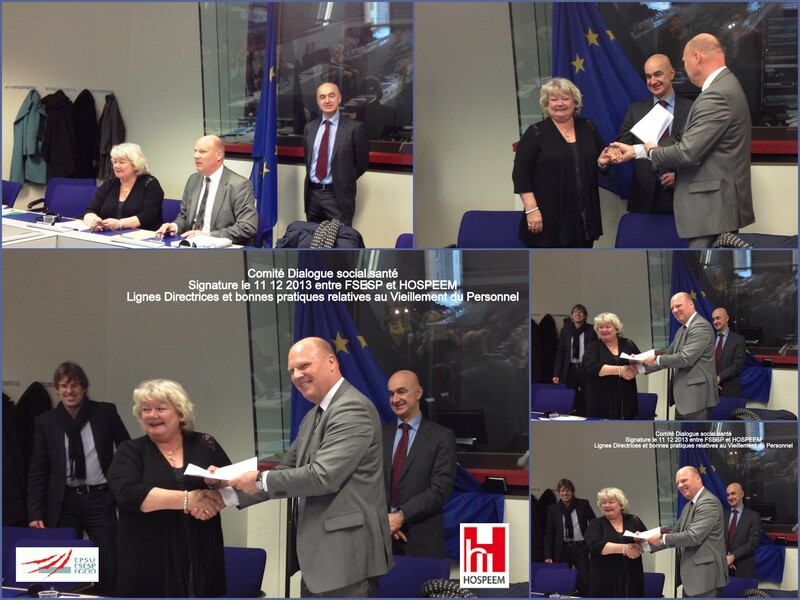 Brussels, 11 December 2013: Signature of the EPSU-HOSPEEM guidelines and examples of good practice to address the challenges of an ageing workforce in the healthcare sector. In the context of the Plenary Meeting 2013 of the Sectoral Social Dialogue Committee for the Hospital Sector, the Secretary General of HOSPEEM, Tjitte Alkema, and the Chair of EPSU’s Standing Committee “Health and Social Services”, Liza di Paolo Sandberg, signed the joint guidelines and examples of good practice to address the challenges of an ageing workforce in the healthcare sector. 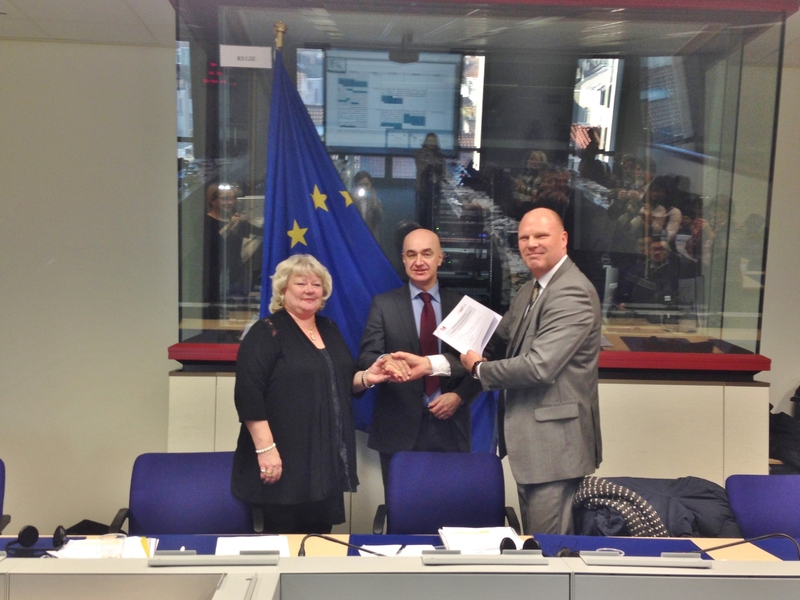 The document had been agreed upon in October 2013, following nearly two years of negotiations. The aim of the document is to provide guidance to support social partners as well as decision makers, managers, workers and other stakeholders at national, regional and local and level, addressing different aspects related to age management policies such as flexible working arrangements, talent management and training, health and safety at work, workforce planning and retirement planning. It is for the social partners at all levels to work in partnership and to consider how this guidance can complement their own systems, initiatives and measures. After several years of pre-social dialogue process led by the Joint Representative Taskforce, the Committee on social dialogue in the hospital sector (henceforward: the Committee) will soon be established. 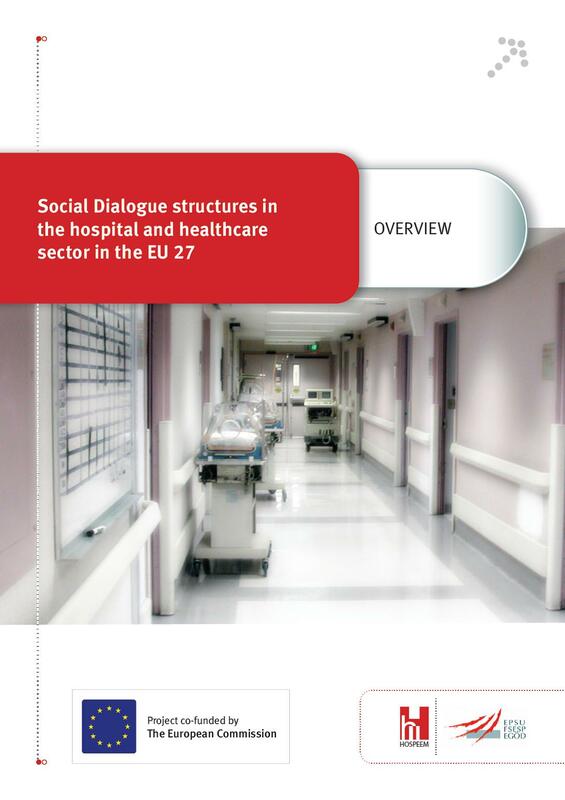 The Committee aims to improve the quality of employment and quality of services in the hospital sector by means of constructive social dialogue. Adequate representativity of EPSU and HOSPEEM is an important condition for success. However, social partners from new Member States are not yet very well represented in the European Social Dialogue. Moreover, the situation and status of Social Dialogue within some of these Member States leaves much to be desired. A strong national dialogue is a conditio sine qua non for adequate representativity in Europe. In turn, a high level of representativity will make the sectoral dialogue more effective at the EU level. Hence, capacity-building in the new Member States is a major priority in the work programme of the Committee. In this project HOSPEEM, EPSU and national social partners from Czech Republic, Slovakia and the Netherlands have joined forces to strengthen the Sectoral Social Dialogue in the EU 27 and to increase representativity in the Social Dialogue Committee. They wish to remove some of the main obstacles for constructive dialogue on national and EU level. They will combine theoretical and practical methods to tackle problems of a different character, thus optimising the final project result. This project is the first major initiative of the Social Dialogue Committee for Hospitals after the formalisation in September 2006. This project will support the implementation of a major issue of the work programme of the Committee, i.e. strengthening Social Dialogue in the new Member States and candidate countries. It will also help to increase the representativity of social partners in the EU Social Dialogue, especially from the employers’ side. Finally, the pilot activities will contribute to the development of the three major topics defined in the EPSU-HOSPEEM work programme 2006-2007(ageing, recruitment and retention, skill needs). 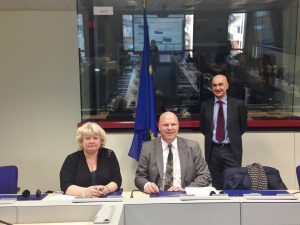 The Joint representative task force in the hospital sector was founded in 2002 by members of EPSU and CEEP involved in an informal social dialogue since 1999.